Here is Diet Sophisticated Future - Many reasons that often prevents us from the diet correctly. For example, lazy food calorie count, do not know the exact or duration of exercise is needed to burn calories, and much more. But all these obstacles will have no. In the future, in order to calculate calorie diet would be as easy as looking at his watch. Experts in the field of technology diet Vryenhoef Team sophistication of technology to help predict weight loss programs in the future. The advanced features in a variety of electronic equipment mainly for calculating calorie food. For example, there is a smart watch that can track our calorie intake, smart mirror which will give an overview ideal weight to be achieved, as well as a shopping cart with a warning light that will light up if we insert unhealthy food. He believes in the future will increasingly sophisticated timepiece. 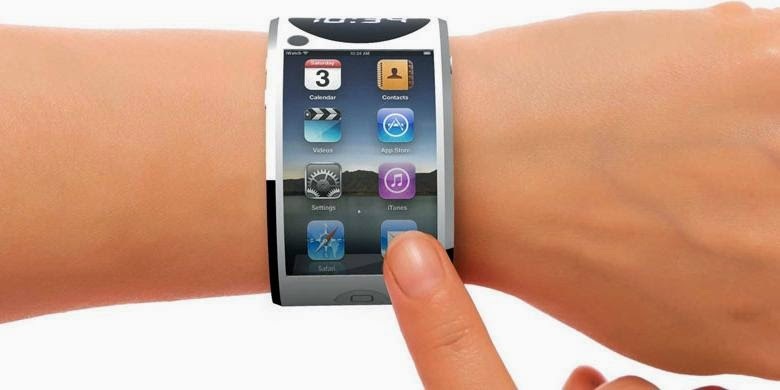 Vryenhoef mention one of them is smart watches are touted being designed by Apple. "Watch later can automatically show the number of calories that we eat in a day," he said. Besides other advanced features are able to indicate the target calories in one day and also weight reduction targets to be achieved. Not only that, the smart watches can also send a message of motivation at certain times, especially in the hours of snacking. Currently there is already a product that has similar features, among other applications that can be aligned with MyFitnessPall counter tools heartbeat and breathing. This clock not only shows the time, but also footsteps, calories burned, and heart rate. Other advanced tools we can rely on to diet is Google goggles scanner that features measure the amount of calories of each food product to be purchased. When eating at a restaurant, we can also easily assess the amount of calories in the food photographed and tracked on the phone screen. With these advanced features, there is certainly no reason to fail in losing weight.